CAMINO TOURS & TRAVELS is a well-reckoned tour & travel company that is located in Kolkata (West Bengal). Our company has gained immense appreciation of clients for our excellence. We are committed to offer complete satisfaction to clients by making available the best of everything to them. 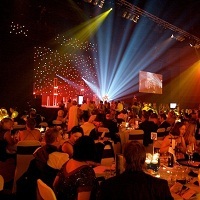 We are a prominent Event Organizer also, and make arrangements for all kinds of corporate and private events. Whether you are willing to throw a birthday party, or you need to organize a corporate exhibition, our company will make all the arrangements. Catering, decoration, managing guests, etc. will all be taken care by us.